Back in the 1930s, the Russians were coming! At the time, Portland and Oregon had rather few immigrants beyond those from China, Scandinavia and Germany, and the food and restaurant scene was a bit short on ethnic variety. But there were some examples, such as the Samovar Russian Cafe that Paul E. Bulkin ran on NE Sandy Boulevard from about 1930 to 1940. The menu posted here shows the daily specials, which include not only Russian dishes but also a number of pretty generic Portlandia-ish items (fried chicken, grilled salmon). The pricey Samovar de luxe Russian dinner is, surprisingly, not detailed, but the full menu suggests some of the possiblities, including chicken a la Russe, lamb sashlik, and blini with caviar. Paul E. Bulkin was the proprietor of the Samovar, as noted by David B. Cole in his Portland State University dissertation, “Russian Oregon: A History of the Russian Orthodox Church and Settlement in Oregon, 1882-1976.” A 1972 article about the quaint building by John Wendeborn in the Oregonian prompted a reminiscence about the Samovar by Joel C. Hertsche, Jr. (September 29). He extolled Bulkin, “who prepared the best Russian-type food I have ever laid tongue to. 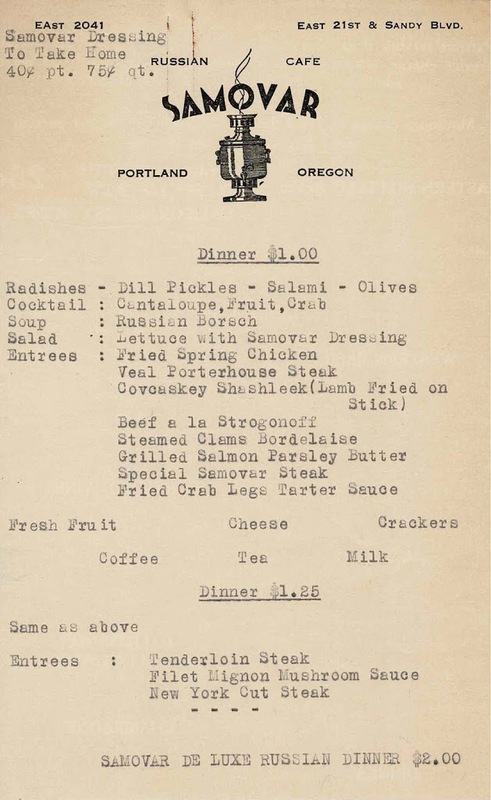 Blinis with sour cream, beef stroganoff, spiced wine and a varied and very tasty menu.” Bulkin entertained as well as cooked: “The only music that was played there then was Paul himself beating out a tune on a bread board with a carving knife.” Cole’s dissertation mentions two other Russian restaurants in Portland during the 1930s and 1940s. The building that housed the Samovar was still standing in Portland until early this year. I drove by a week ago: it’s gone, and some 200 apartments soon will rise on the site. It was a rather unusual structure, a storybook sort of building vaguely resembling a squashed castle. Although one website tags it as a former Russian Orthodox church, it never was. According to Val Ballestrem of theArchitectural Heritage Center, it as erected as a restaurant and bar called Jack and Jill’s in the late 1920s. 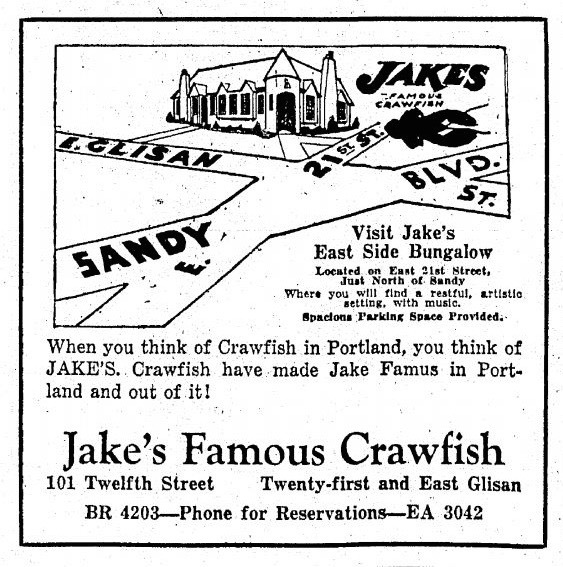 J&J did not last long, and was succeeded by an East Side branch of Jake’s Crawfish. Jake’s also failed, and the Samovar moved in. 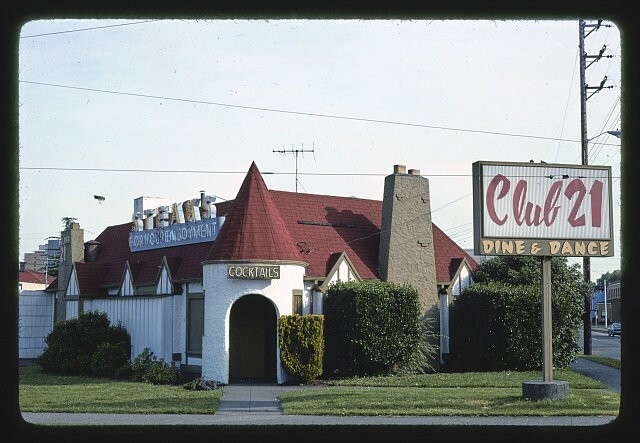 Since 1958, it was known as Club 21. 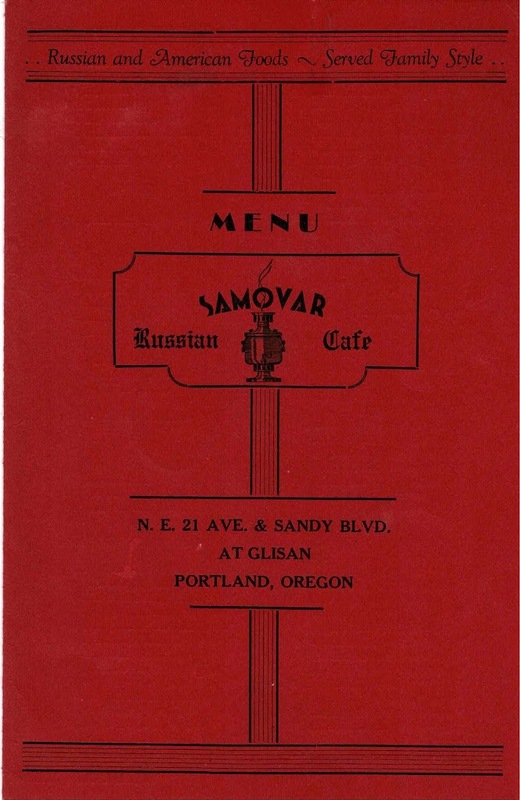 Russian restaurant food reappeared in Portland about 1971 with the Russian Renaissance, located on SE Clinton Street near 26th. It was operated by Scotty and Walt Hasty and offered an extensive menu of pelmeni, holubtsi, tukhum dolma, beef stroganoff, and borscht. It moved downtown to NW 5th Avenue near Burnside in 1975, and lasted until at least 1978. 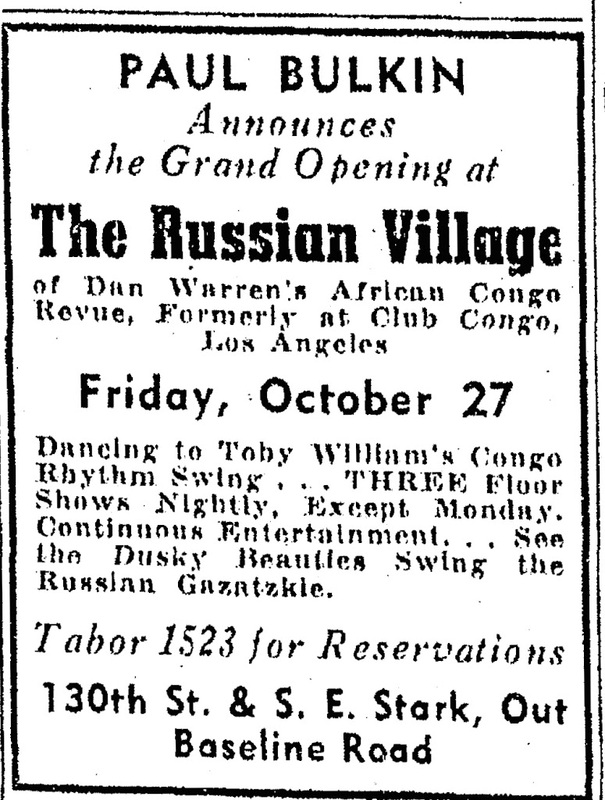 The present-day Russian Renaissance restaurant on SE Foster Road near 65th does not appear to be a direct descendant. Or is it? Very interesting! Now I'm craving Russian Food. Too bad the Samovar was torn down as it appeared to be a very charming building.